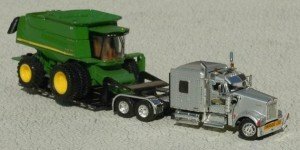 Rockin H Farm Toys, your source for high end 1/64 scale custom harvesting models made in the Heart of America’s Bread Basket, Dodge City Kansas! Our specialty at Rockin H is to recreate your memories and help awesome customers create high end models so real you can smell dirt! See what the Rockin H Brand. Sign up for the Newsletter and enjoy your time at Rockin H, I am grateful you are here.